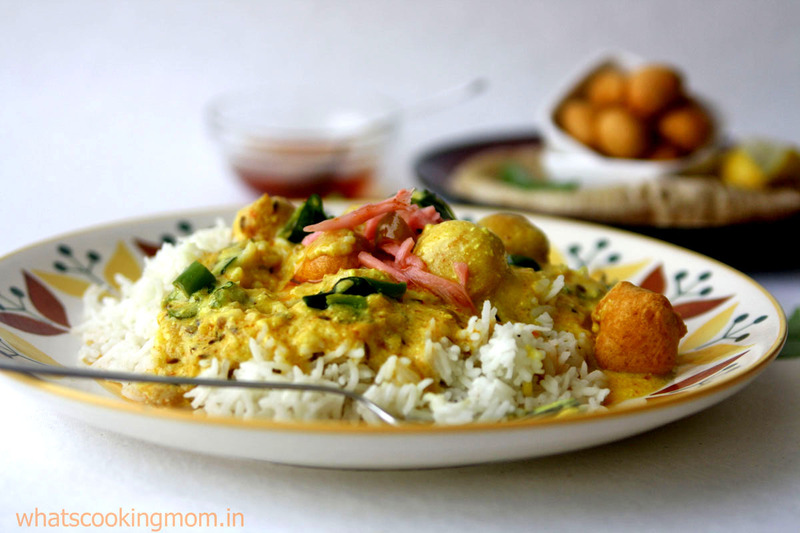 Kadhi pakodi is one of the most popular foods in north India. 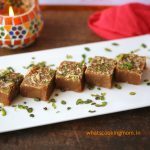 It can be served with roti or rice. Tastes equally good with both. 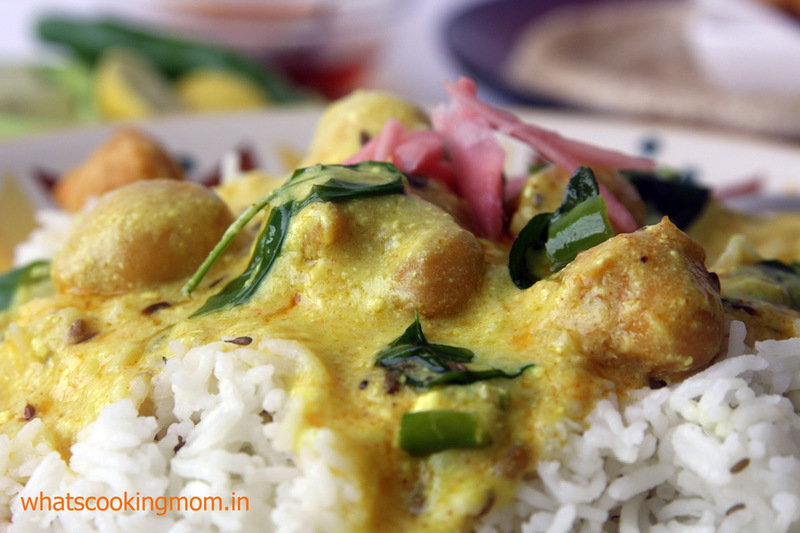 This recipe is for Punjabi Kadhi Pakodi which is a little on the thick side. 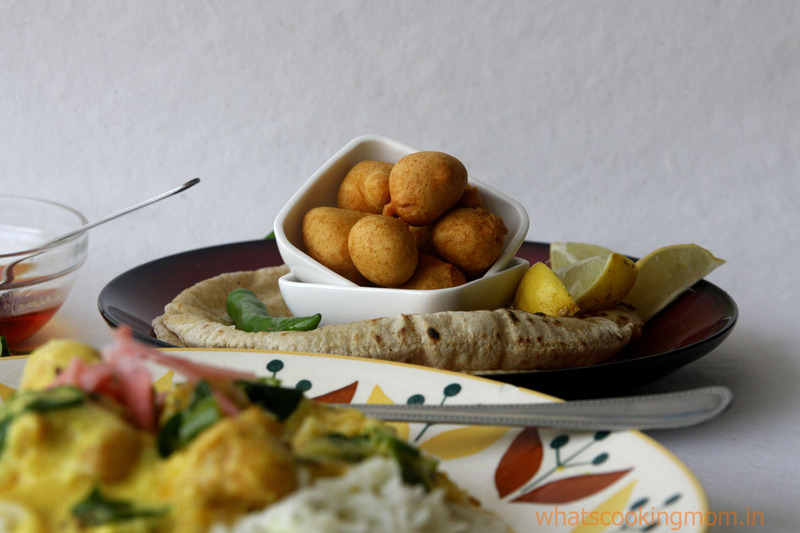 Rajasthani Kadhi is of soup like consistency and is usually served without pakodis. 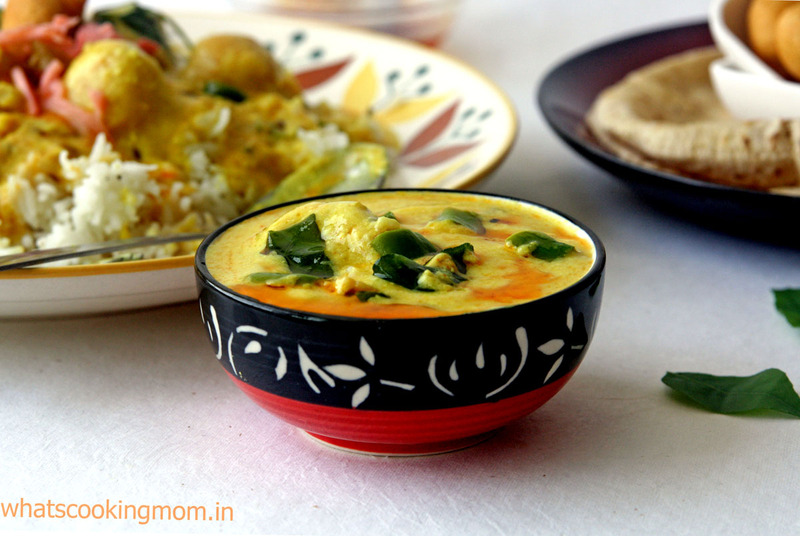 We usually make an extra quantity of Kadhi than required and have it next day with paranthas. Out of this world, I tell you. Kadhi tastes even better the next day. All the flavors are blended very well and Kadhi is really thick. Just reheat it and enjoy. 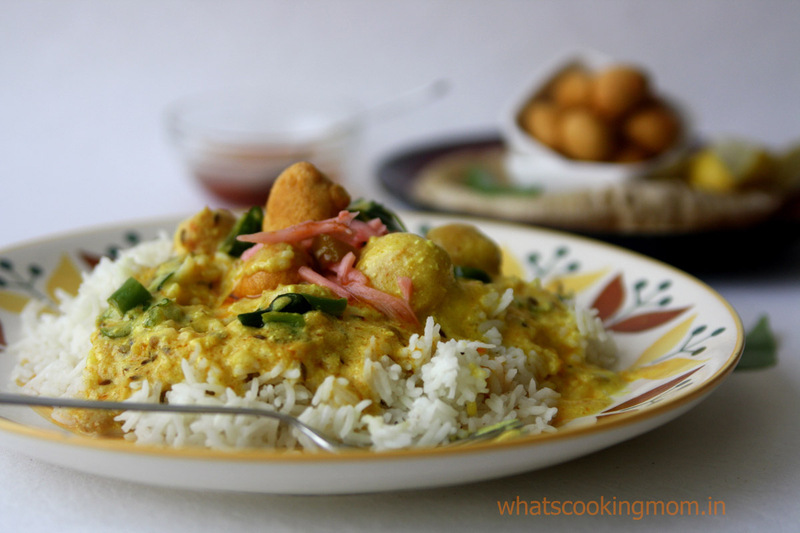 Kadhi takes a lot of time to cook on gas but it does not take that much effort. You do not have to keep on stirring it continuously. 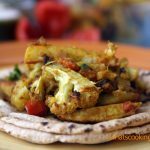 You can make pakodis in the meantime or do some other work. Note: we like our Kadhi pakodi to be rich and spicy. 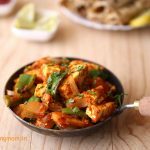 You can adjust the amount of spice and ghee according to your taste. Add Besan, salt, red chili powder and turmeric powder to curd. Mix thoroughly so that no lumps are formed. In a thick bottomed kadai heat 1 tbsp ghee. Add fenugreek seeds and dried red peppercorn. When seeds crackle, add the curd mixture and water to it. Let it boil on high for 2 minutes. Keep stirring continuously. Turn the flame to low and let it simmer for 30-40 minutes. Keep stirring occasionally so that the mixture does not stick to the sides. Add water to reach the desired consistency. You can prepare the pakodis at this time. After 30-40 minutes switch off the flame and add garam masala to the kadhi. Mix all the ingredients except oil and make a thick batter. Heat oil in a kadai. To check the oil is hot or not drop a small ball of Besan mixture in hot oil. If it floats, oil is hot if it stays in the bottom oil is still not warm enough. Drop 6-7 small balls of Besan mixture in the hot oil. Don’t worry if they are not of a perfect round shape. Keep turning them so that they are cooked on all sides uniformly. Now, deep fry the pakodis till they are golden brown. Remove from the oil and keep aside. If you want crisp pakodis you can add them straightway to kadhi. And if you like soft pakodis after removing from oil soak them in a bowl of water for 1 minute. Press to remove excess water and then add to the prepared Kadhi. In a small kadai heat ghee. Add asafetida and cumin seeds to it. When they start to crackle add curry leaves, green chilies, and ginger. After 1 minute add red chili powder and switch off the flame immediately. Add to the Kadhi Pakodi and cover with a lid for some time. 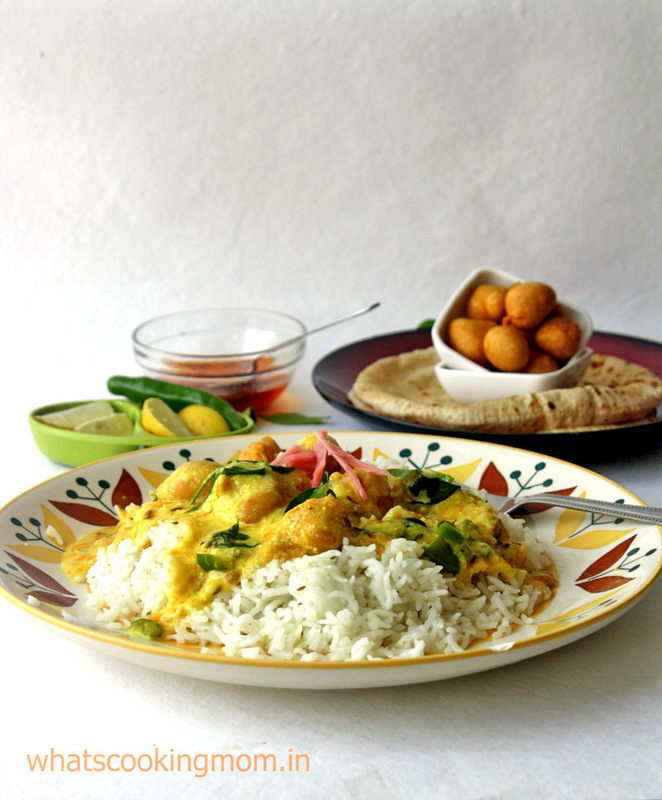 Dear Nidhi, very nice kadhi pakora and lovely pictures. Love Gujarati food and had this in Baroda last year. 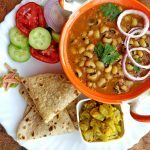 It is quite popular in gujrat, haryana, punjab and rajasthan though flavor is a little different.